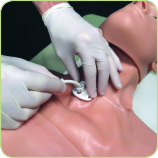 Surgical Trainer for Chest Tube Insertion, Cricothyroidomy (or Cricothyrotomy), Needle Decompression, Tracheostomy, Pericardiocentesis and Diagnostic Peritoneal Lavage. The TraumaMan® System is the most widely used surgical simulator in the world. Over 375,000 clinicians in 40 countries have completed advanced surgical training using TraumaMan over the product’s rich history. That's roughly 40,000 medical professionals every year. Since its release, TraumaMan is found and used often in Advanced Trauma Life Support (ATLS) courses, military courses, Emergency Medical Support (EMS) Training and other trauma surgery and emergency life support simulations. 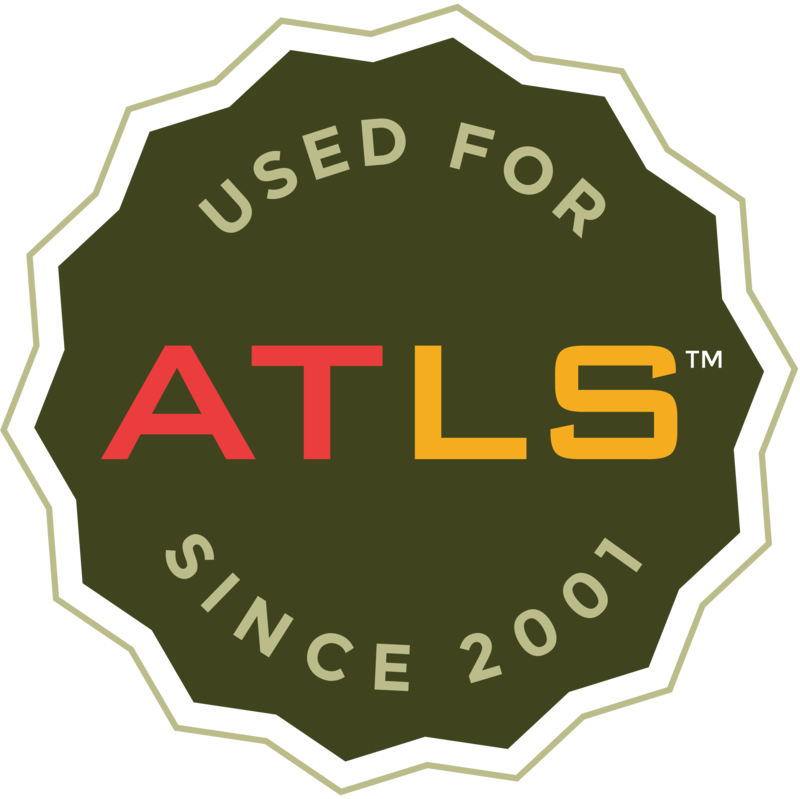 Over the years, we have continually evolved the TraumaMan System's features to remain current with new ATLS Editions and we are fully committed to you in regards to the upcoming 10th Edition. The system includes a wide variety of replaceable tissues for a first cut experience —every time. 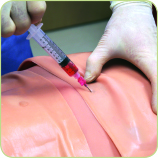 And, TraumaMan is a pioneering bleeding manikin, but the system never grows old. Year after year, though collaboration with the medical community, it continues to evolve with upgrades, technology and new procedural modules. Replaceable tissues, including New Classic Connect Bleeding and Non-Bleeding Chest Tissues, providing each student with a first cut experience. Important anatomical landmarks for each surgical procedure, with anatomically correct insides. Flexible design so instructors can train in an ABC order or teach a single procedure. Easily sets up in any type of facility —from a training room, to a hotel or out in the field. 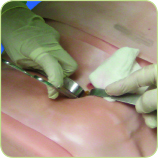 This surgical torso trainer model simulates Chest Tube Insertion (Otherwise known as Pleural Drain, Thoracic Catheter, Chest Drain, Intercostal Drain or Tube Thoracostomy), Cricothyroidotomy (or Cricothyrotomy), Needle Decompression, Pneumothorax, Trachestomy, Periocardiocentesis, Diagnostic Perigoneal Lavage (DPL) or Diagnostic Peritoneal Aspiration (DPA), IV Cutdown and more. Learn more about The TraumaMan System or Contact Us directly.